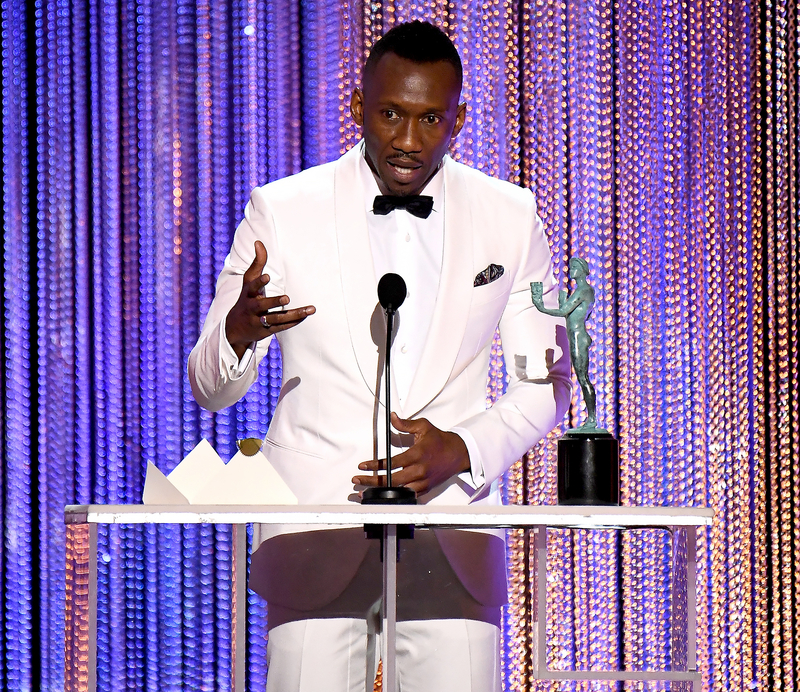 Moonlight’s Mahershala Ali tearfully spoke about the current political state and his conversion to Islam while accepting the award for best supporting actor at the 2017 SAG Awards in L.A. on Sunday, January 29. Watch the video above. “I think what I have learned from working on Moonlight, you see what happens in persecution. What I was so grateful about and having the opportunity was playing a gentleman who saw a young man folding into himself as a result of the persecution of his community, and taking that opportunity to uplift him and tell him he mattered, that he was OK. And accept him. I hope that we do a better job of that,” Ali, 42, who plays a drug dealer in the drama, said at the Shrine Auditorium. Ali’s remarks come two days after President Donald Trump signed a travel ban that blocked refugees and immigrants of seven Muslim-majority countries from entering the United States for the next 90 days. On Saturday, a New York federal judge ruled that authorities cannot deport individuals with valid visas. Several other stars took a stand against Trump on Sunday night, including Julia Louis-Dreyfus, Bryan Cranston, Kerry Washington and Ashton Kutcher.